To build a confident and harmonious company through the constant forging of creativity and innovation, always learning and reflecting on past experience and accomplishing every task with courage and determination. Established EHKEN KOGYO CORPORATION in Isehara-cho, Naka-gun, Kanagawa-ken. Built a new factory in Hamaoka-cho, Ogasa-gun, Shizuoka-ken. Transferred the Head Office to Hamaoka-cho, Ogasa-gun, Shizuoka-ken. Changed the company name to EIKEN INDUSTRIES CO., LTD. Established TOHBU EIKEN CORPORATION in Isehara-shi, Kanagawa-ken. Established EIKEN,INC. in Shizuoka-shi, Shizuoka-ken. Changed the company name from NIPPON ELEMENT to KOSHIN KOGYO. Built a new press factory for the purpose of rationalizing large press lines. Consolidated KOSHIN KOGYO and opened OHYAMA FACTORY. 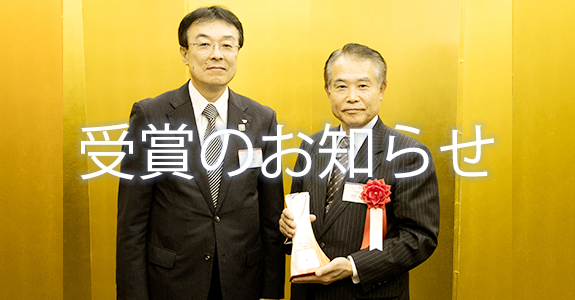 Consolidated TOHBU EIKEN CORPORATION and opened ISEHARA FACTORY. 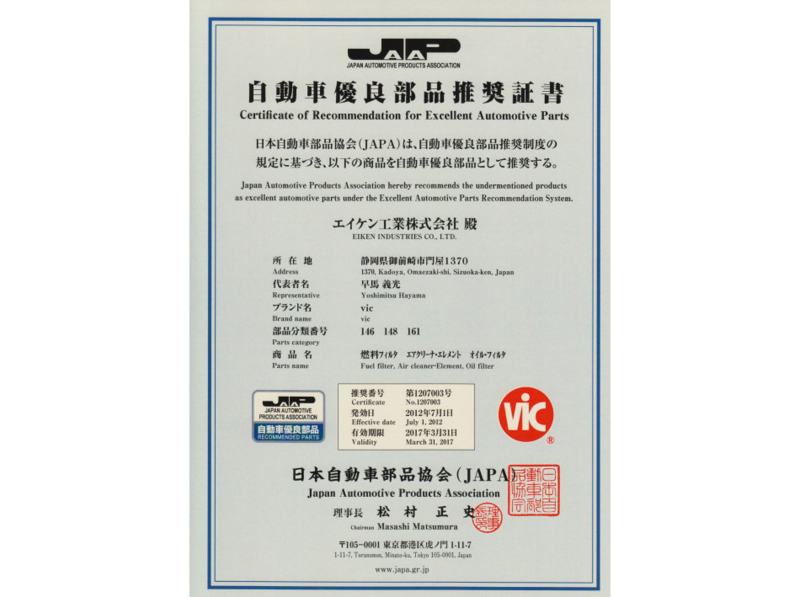 Registered with Japan Securities Dealers' Association. Built a new dormitory for single employees. Transferred OHYAMA FACTORY to Head Office. EIKEN has been making a firm progress since its foundation. I would like to convey my gratitude to all of our customers for their continued cooperations. As a manufacturer of filters for internal combustion engines and special filters for industrial use, we have been working so hard for a development of new products and an establishment of production technologies and management. With our own metal working technologies, we have completed a continous production system and have gained a high reputation among our customers at home and abroad with lower price, better service and higher quality. We always endeavour to meet customers` requirements so that they may be able to use our quality products with ease and satisfaction. In a gas appliance business, too, we have been enjoying a good reputation among its industry with a stable and steady quality as well as lower prices and better services, and we have made it possible to provide our gas appliance products matching customer`s needs. Now in the 21st century, the economic and social environments are changing drastically. Whatever changes or difficulties may confront us in future, we will make our all possible efforts and study much hard so that we can answer a variety of cusomter`s needs. I thank you very much again for your kind cooperations always extended to us, and I look forward to your continued support and patronage also in future.